I'm still trying to figure out why I am unable to hold more than 10psi of boost in the RS6. It may be a boost leak, but I'm also trying to rule out anything else that could be wrong. 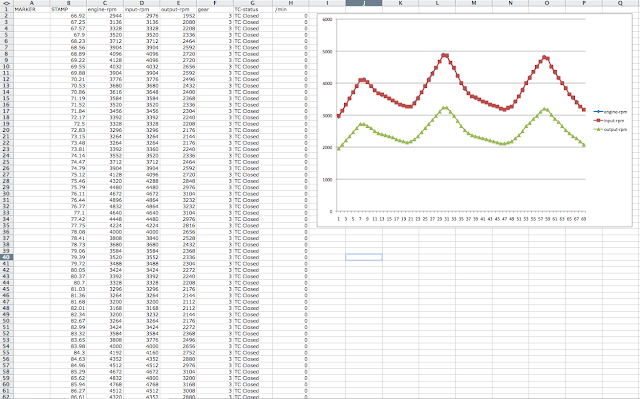 Today I logged the transmission values and which include engine RPM, input shaft RPM and output shaft RPM. The reason for this test is to see if the three RPM values move linearly to each other. If they were not linear it would mean the transmission is slipping, which can cause the transmission control unit (TCU) to send a signal to the engine control unit (ECU) to turn down boost. The logging seems to confirm that there is no transmission slip as seen from the data below. 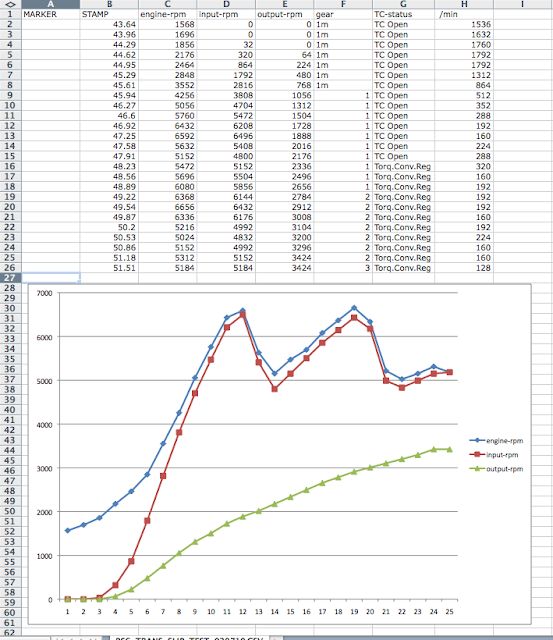 The torque converter locked up around 5100-5400 rpms and from there on the graphs are linear. This campaigns is really good and I would also like to note that the Engine blog, so nice & beautiful. Regards for all your efforts that you have put in this. very interesting info .I like this blog very much so much good info.